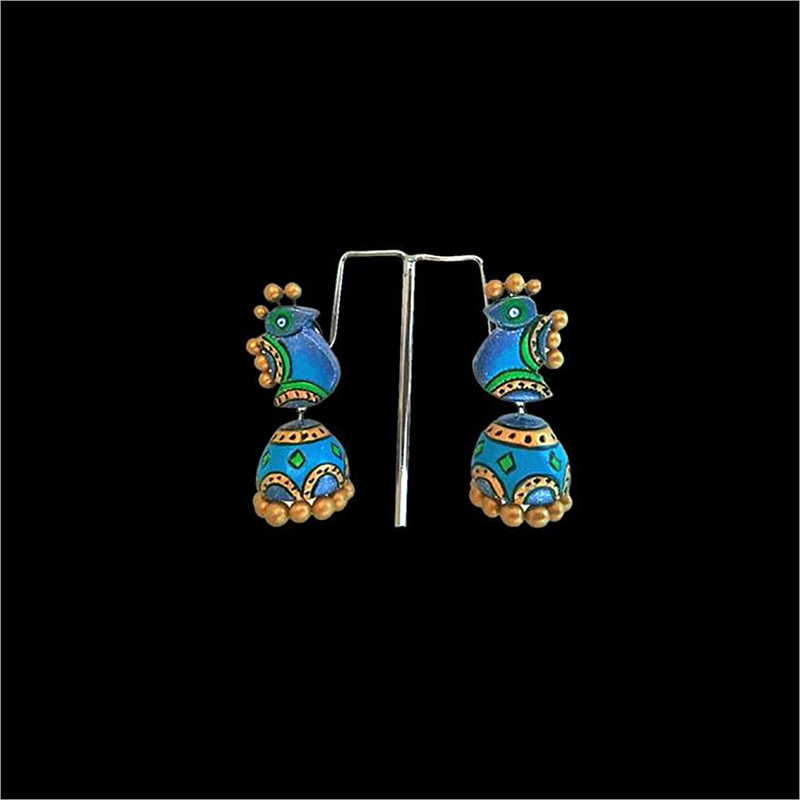 We have been engaged in designing and supplying an excellent array of Terracotta Blue With Golden Jhumka. 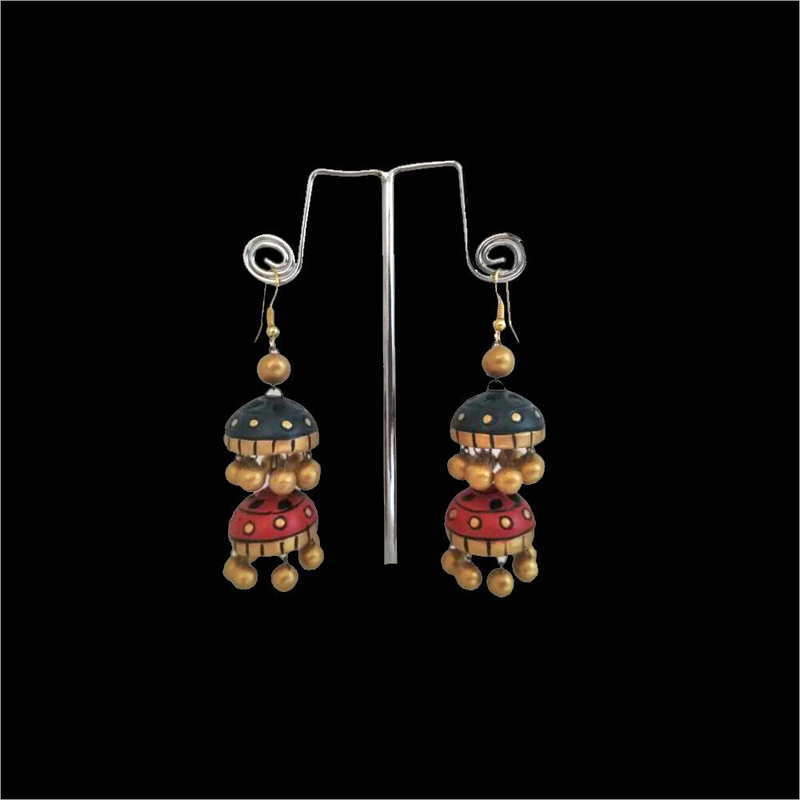 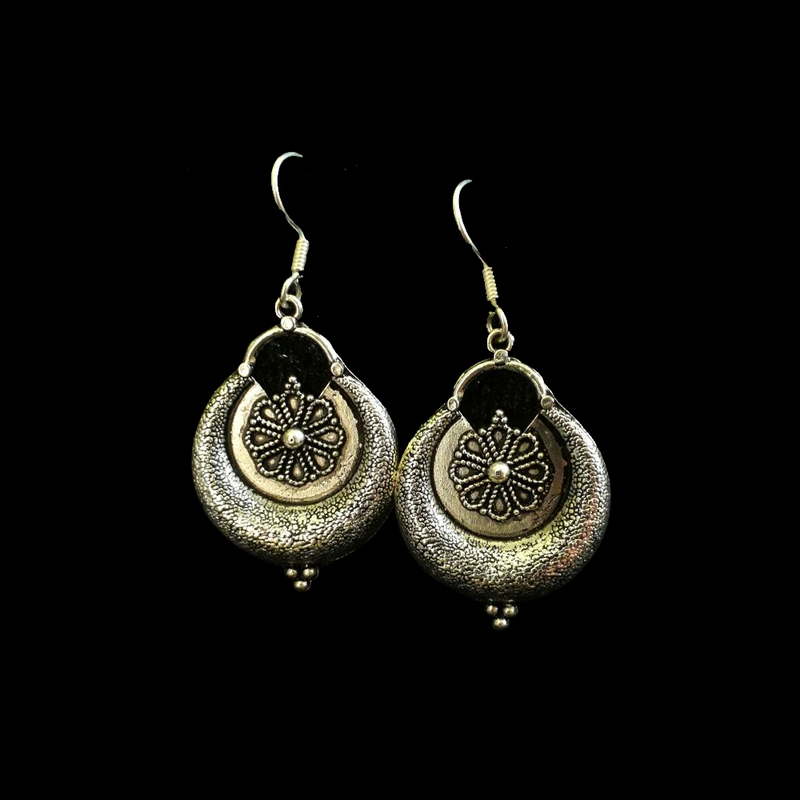 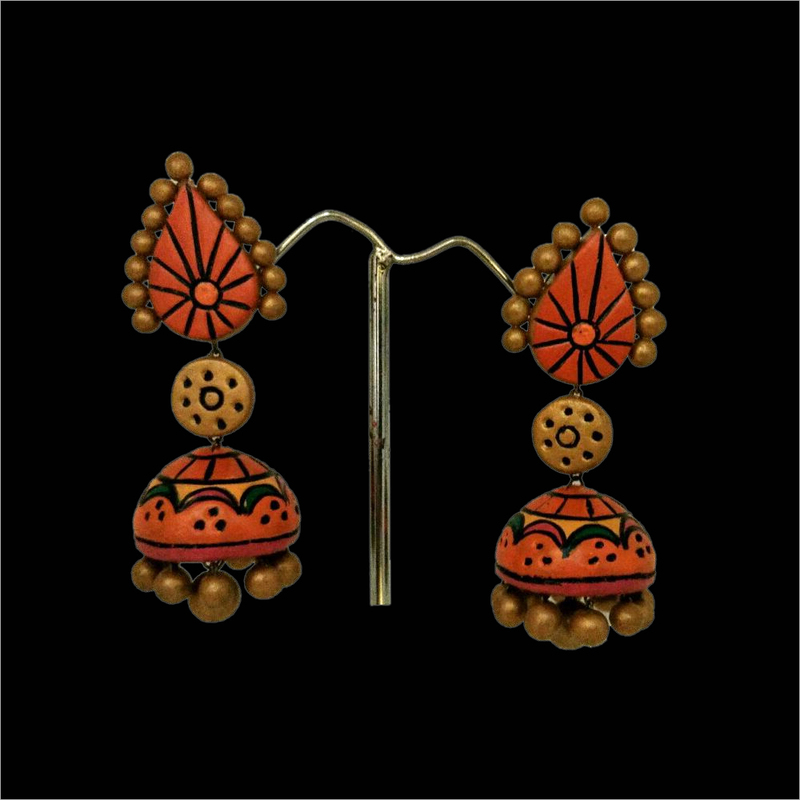 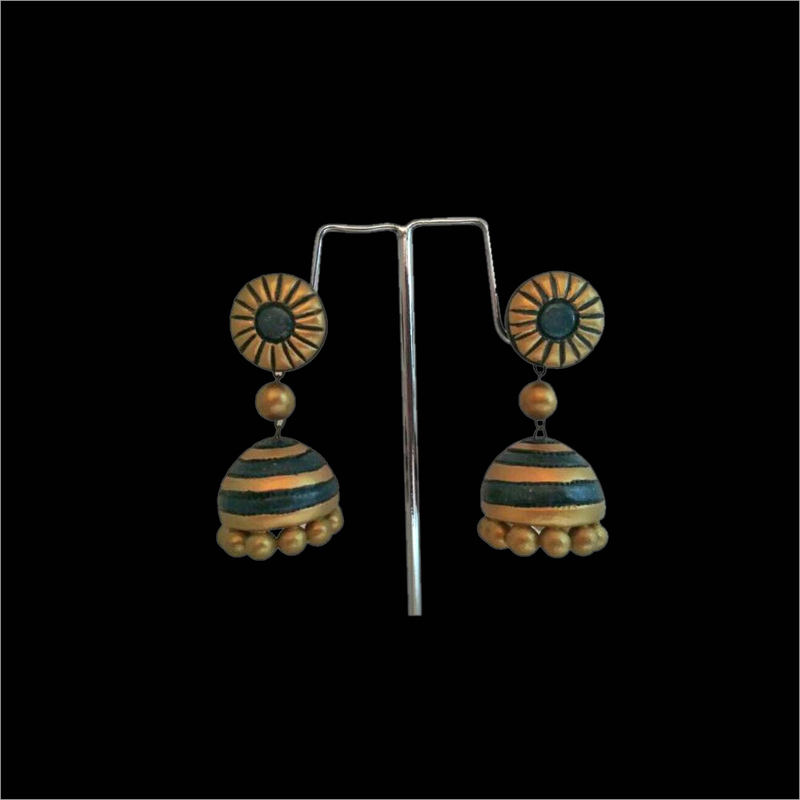 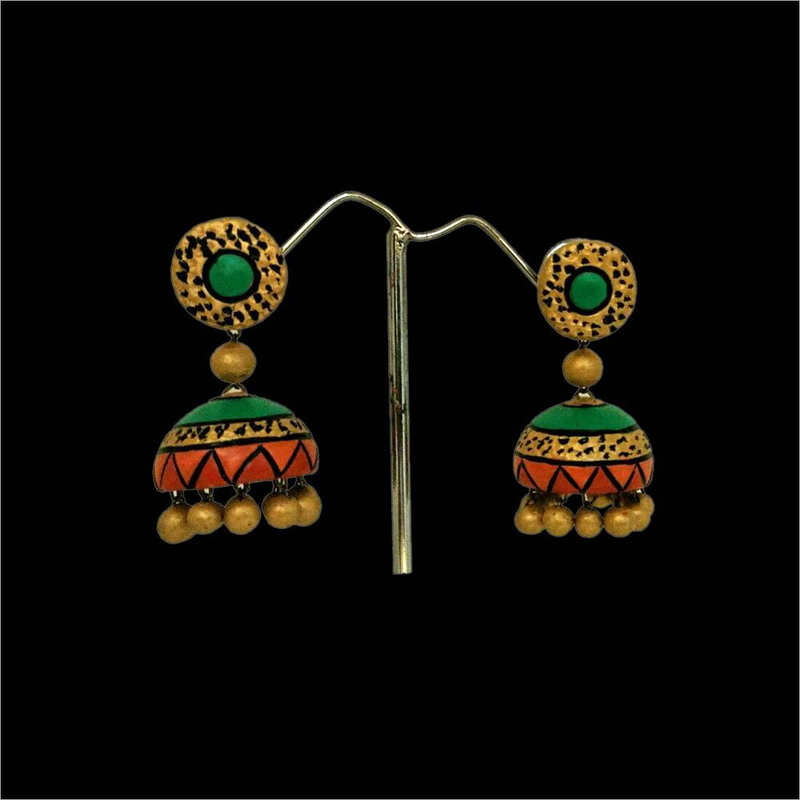 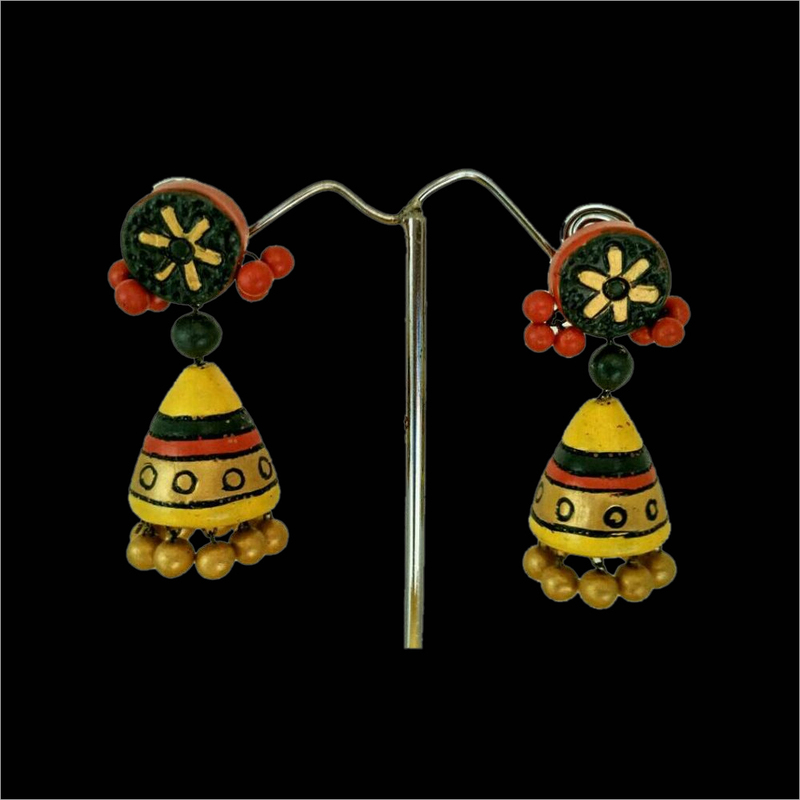 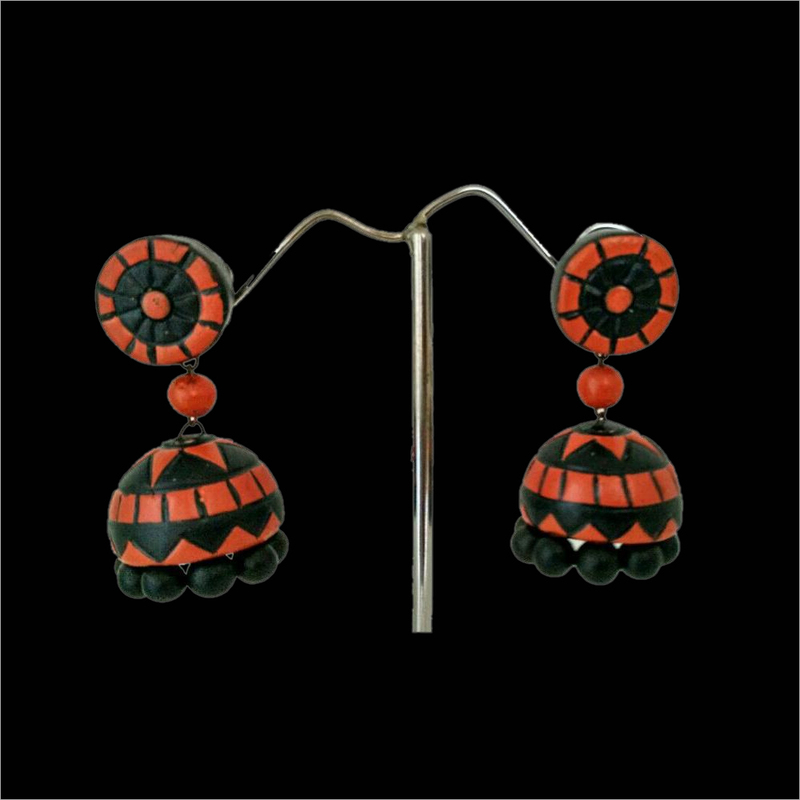 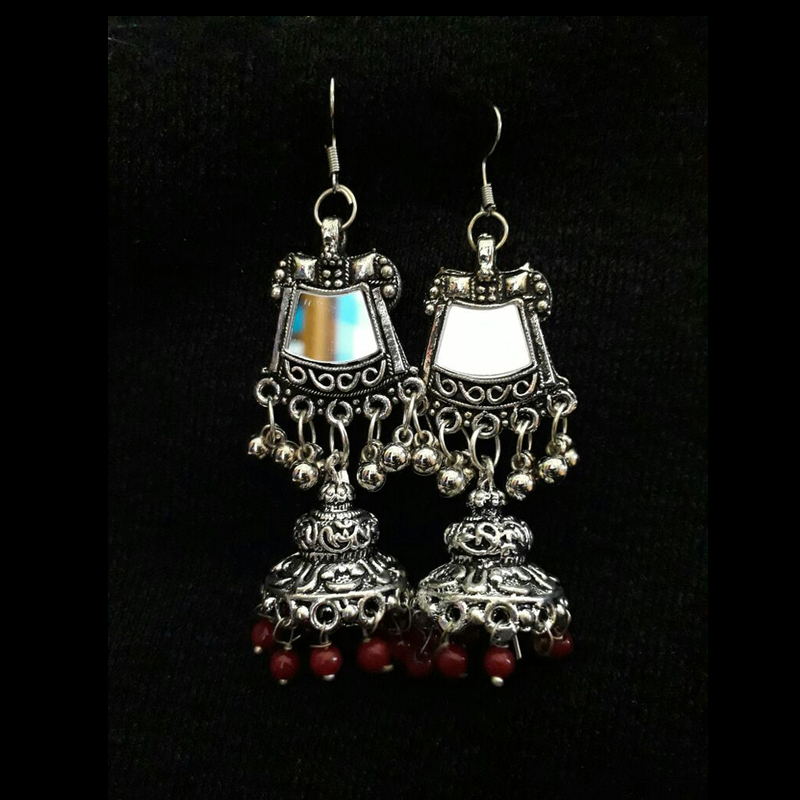 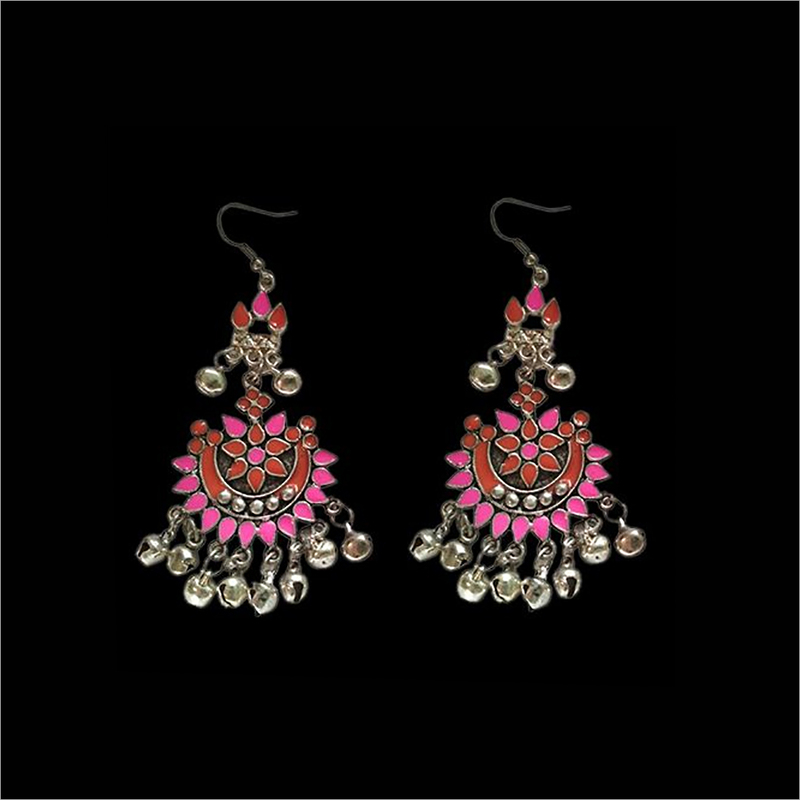 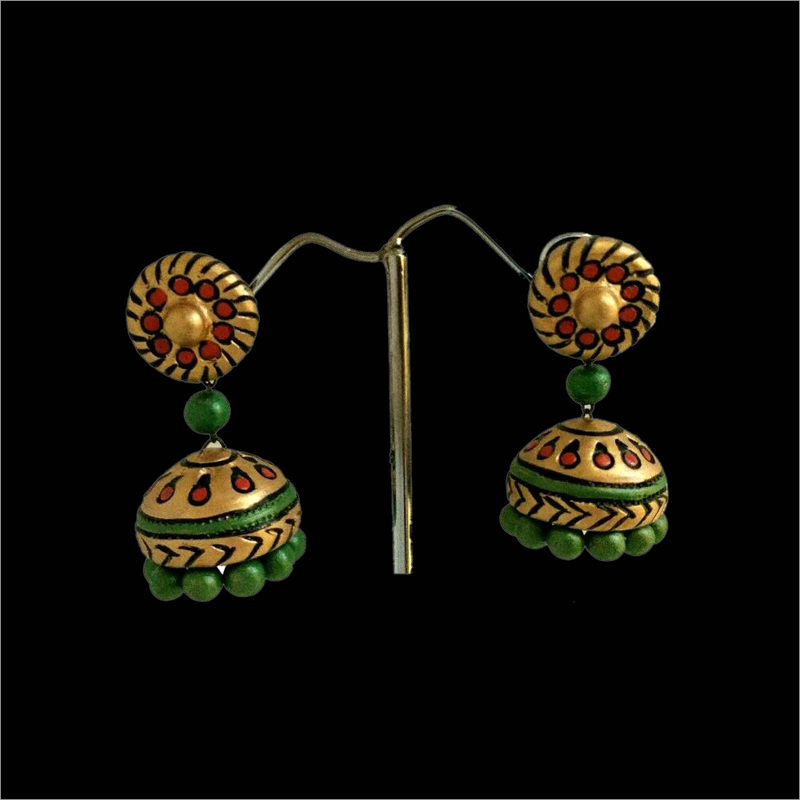 This jhumka is attractively carved with the help of modern tools to provide it an elegant shape. 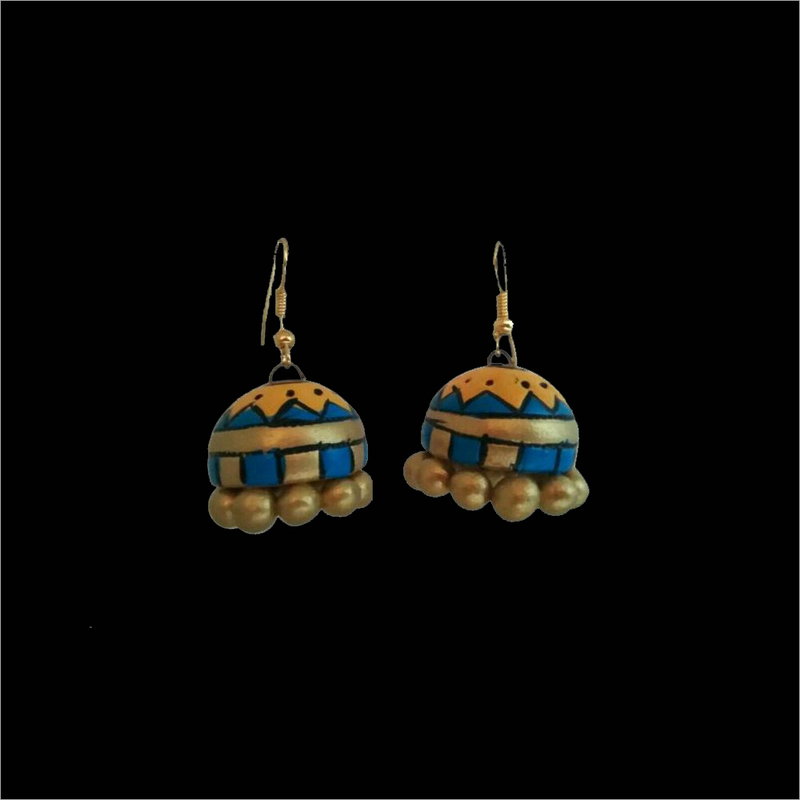 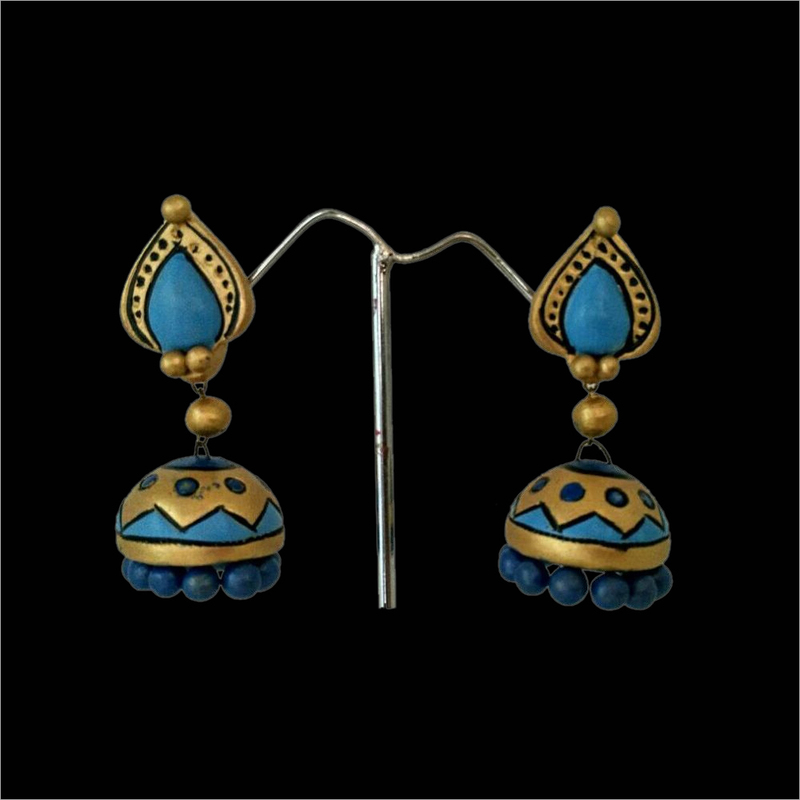 The teracotta material is precisely painted with blue color for top and the golden color to make dome shape jhumka. 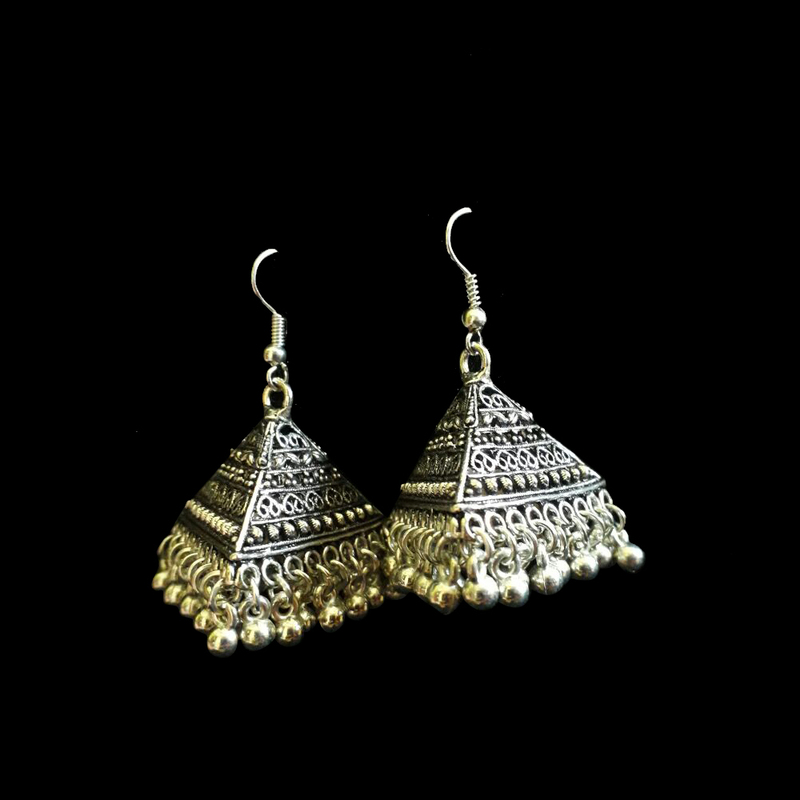 It adorn your beauty beauty elegantly when paired with saree. 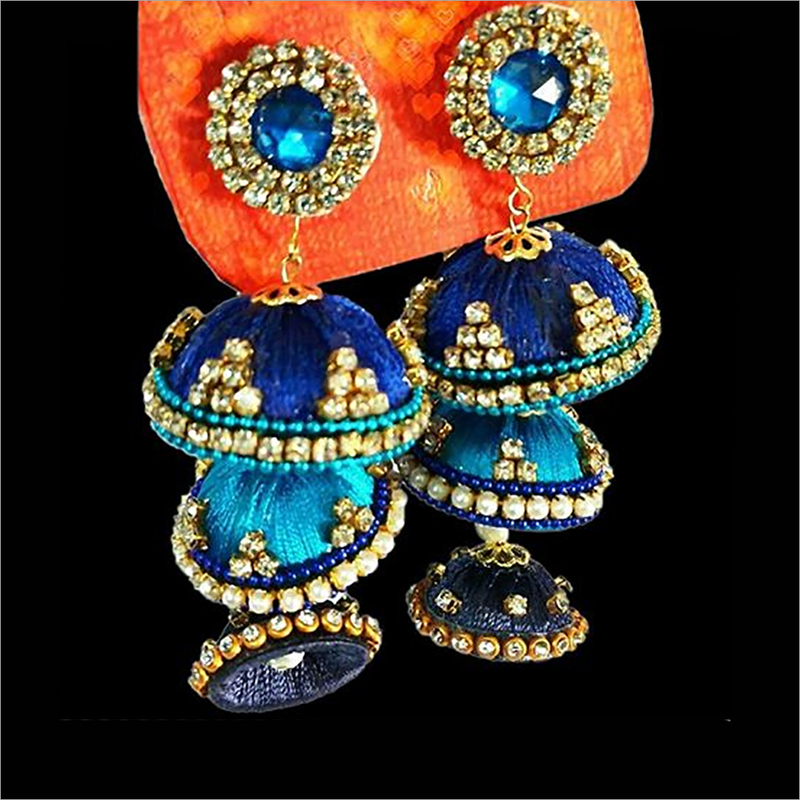 Apart from this, the Terracotta Blue With Golden Jhumka is also available in different shapes, designs and patterns as per clients' demands.